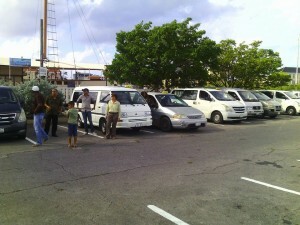 WILLEMSTAD - Curaçao taxis finally agreed to the use of taximeters. That is what the Ministry of Economic Affairs has agreed with the taxi drivers. Trade union Sinusta has finally given up after years of resistance. According to the trade union, the use of the taximeter is inevitable, but it has lasted so long, mainly due to the many government changes. A date for the introduction of the taximeter is not yet known.